Geometry is one of a group of special sciences - Number, Music and Cosmology are the others - found identically in nearly every culture on earth. 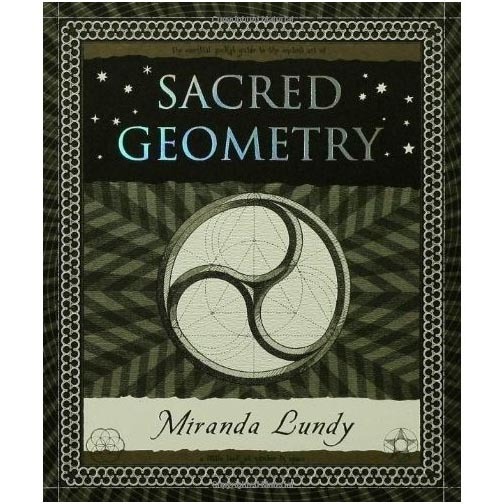 In this small volume, Miranda Lundy presents a unique introduction to this most ancient and timeless of universal sciences. Sacred Geometry demonstrates what happens to space in two dimensions - a subject last flowering in the art, science and architecture of the Renaissance and seen in the designs of Stonehenge, mosque decorations and church windows. With exquisite hand-drawn images throughout showing the relationship between shapes, the patterns of coin circles, and the definition of the golden section, it will forever alter the way in which you look at a triangle, hexagon, arch, or spiral.